For this edition of Seven Things to Know, we selected some choice excerpts from Selected Letters of Raymond Chandler, edited by Frank MacShane. 1. 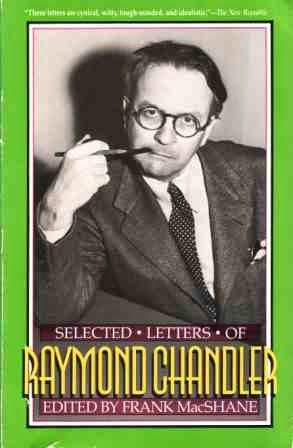 In a 1950 letter to his publisher, Raymond Chandler wrote: "I went to Hollywood in 1943 to work with Billy Wilder on Double Indemnity. This was an agonizing experience and has probably shortened my life, but I learned from it as much about screen writing as I am capable of learning, which is not very much." 3. On his Philip Marlowe novel The Lady in the Lake and the 1947 film adaptation: "This is the only published fiction of mine which I have tried to adapt for films. And it would take a lot of money to make me try again, and I don't think this kind of money would be paid me now from Hollywood. When a man has written a book and rewritten it and rewritten it, he has had enough of it." 4. On Strangers on a Train: "I'm still slaving away for Warners Brothers on this Hitchcock thing, which you may or may not have heard about. Some days I think it is fun and other days I think it damn foolishness....Suspense as an absolute quality has never seemed to me very important. At its best it is a secondary growth, and at its worst an attempt to make something out of nothing." 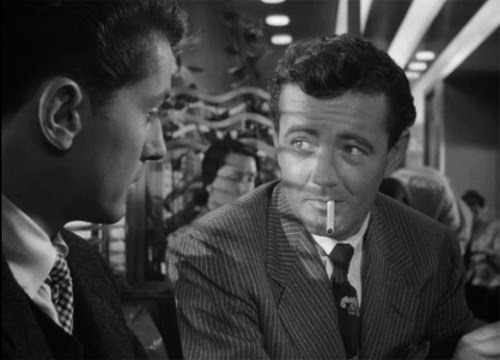 Farley Granger and Robert Walker in Strangers. 5. In a letter to Alfred Hitchcock about Strangers on a Train: "Regardless of whether or no my name appears on the screen among the credits, I'm not afraid that anybody will think I wrote this stuff. They'll know damn well I didn't. I shouldn't have minded in the least if you had produced a better script--believe me, I shouldn't. But if you wanted something written in skim milk, why on earth did you bother to come to me in the first place?" 6. On Agatha Christie's classic novel And Then There Were None: "As entertainment I liked the first half and the opening, in particular. The second half got pallid. But as an honest crime story, honest in the sense that the reader is given a square deal and the motivations and the mechanisms of the murders are sound--it is bunk." 7. 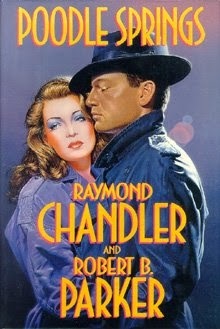 After completing Playback, which turned out to be his seventh and final Marlowe novel, Chandler wrote about a potential eighth book: "My next book is to be laid in Palm Springs with Marlowe having a rather tough time getting along with his wife's ideas of how to live...Of course, I have to have a murder and some violence and some trouble with the cops. Marlowe wouldn't be Marlowe if he could get along with policemen." Chandler did, in fact, start on that novel, but died in 1959. Mystery writer Robert Parker completed it in 1989 and published it as Poodle Springs. I like Chandler's frankness regarding Hollywood. He had nothing to lose so he could tell it like it was. I knew Wilder and Chandler did not work well together. Chandler was about 20 years older than Wilder and knew nothing about writing a screenplay. Billy would get phone calls from young women during the day which Chandler resented. Wilder basically had to “teach” Chandler the art of screenwriting. It’s also interesting that Chandler did not think much of James M. Cain as a writer. Though, this might have had to do with Cain’s recent success with his first novel “The Postman Always Rings Twice” which was a huge financial success. I always thought it odd that Lauren Bacall and Martha Vickers don't share any scenes in "The Big Sleep," even though the story has the actions of Bacall's Vivian motivated by concern for Vickers as her sister. The studio's editing to favor Bacall seems the most likely explanation. What a fascinating post! 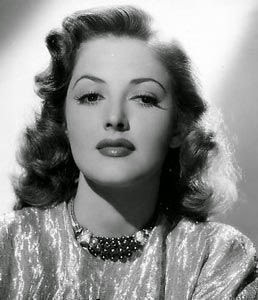 I would love to have seen Martha Vickers' unedited work from "The Big Sleep". Chandler's critique of "Strangers on a Train" convinces me that he would have absolutely loathed "Poodle Springs" which is more like milquetoast than skim milk. Based on Vickers' attitude in that photo alone, I can see where she might have overpowered Bacall in some scenes. I am surprised that Chandler--one of my favorite authors--didn't see the potential in STRANGERS ON A TRAIN.